I know I promised the croc coffee table tutorial today but that post is not quite ready, so it's going to have to wait for tomorrow (it's worth the wait!). 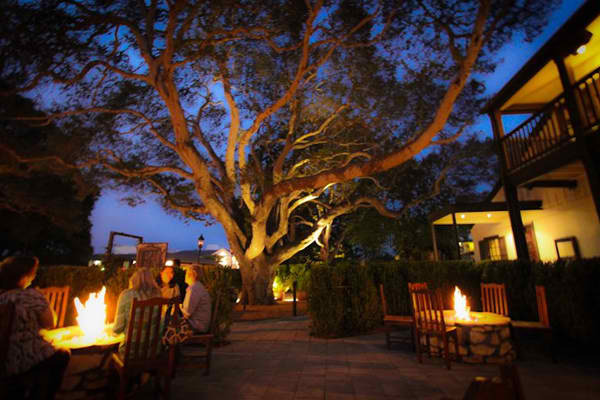 In the meantime, I wanted to share this amazing restaurant/bar called Restaurant 1833 located Monterey, California. During a business trip to San Francisco a few months back I was able to visit my good friend of over 15 years, Nelle, who's attending Grad school in Monterey. She was the ultimate hostess and introduced me to this incredibly interesting and unique location. Being a Bostonian, I'm bias when it comes to west coast locations offering real history. But Monterey is filled with rich historical elements and architecture that brings so much character to this beautiful city. Restaurant 1833 is named after the year the building was established, 1833. 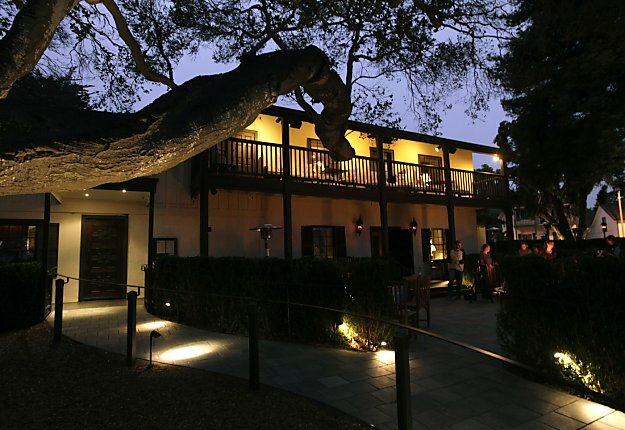 According to the restaurants website, "the building once housed a former apothecary, was home to California's first newspaper press, was formerly the famous "Galatian's" restaurant, and formerly contained the first kiln in California". I would think it's a challenge to decorate a restaurant located in such a historically unique city in a building with amazing significance to the city's foundation. You want the restaurant to appear hip and new, but you also need to hold true to the bones of this establishment. Restaurant 1833 nails this balance, making it one of the most interesting and fun places I've ever been to (and I didn't even eat there!). The restaurant is two-stories with six different interior spaces, which means everywhere you go throughout this place you are greeted with beautiful turn-of-the-century elements unique to that space. It truly felt like we were on a treasure hunt. As soon as I stepped foot in Restaurant 1833, I knew I had to share it with all of you but unfortunately I only had my camera phone, so the pictures do not do justice to regal details throughout. I also didn't take any pictures of the various dining areas for fear of looking like a freak taking a picture while people were eating. But if you are curious what the beautiful dining areas (that definitely make no secret of that fact that you are about to enjoy some high dining!) their website has great pictures. If you're ever in the Monterey/Carmel area, Restaurant 1833 is a must see! My beautiful hostess for the weekend! Yes, my check arrived in a vintage hard-bound book! You've gotta love a place that pays attention to this much detail. wow, i'm going to have to bookmark this place for my trip to sf later this month! Wow! Looks like you had great inspiration everywhere you looked! !